70mm antique gold heavy medal in a box. 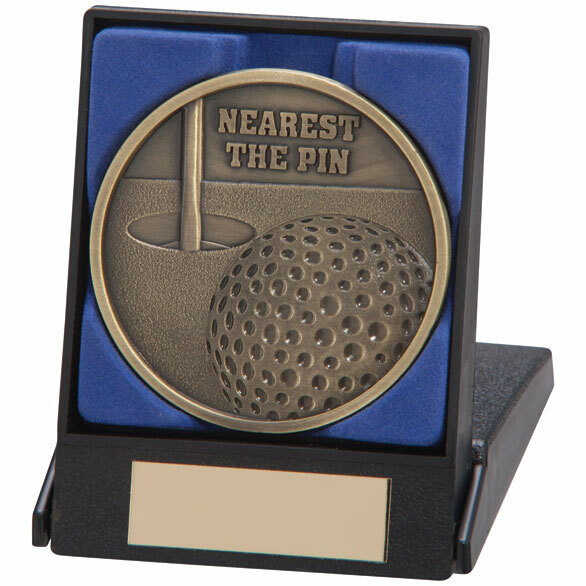 This great moulded medal states Nearest The Pin. The boxed medal comes complete with a free engraved plate.